Hello lovelies, the sun is still making appearance, it's been lovely not to have so much 'april showers' and lots of lovely sunshine. 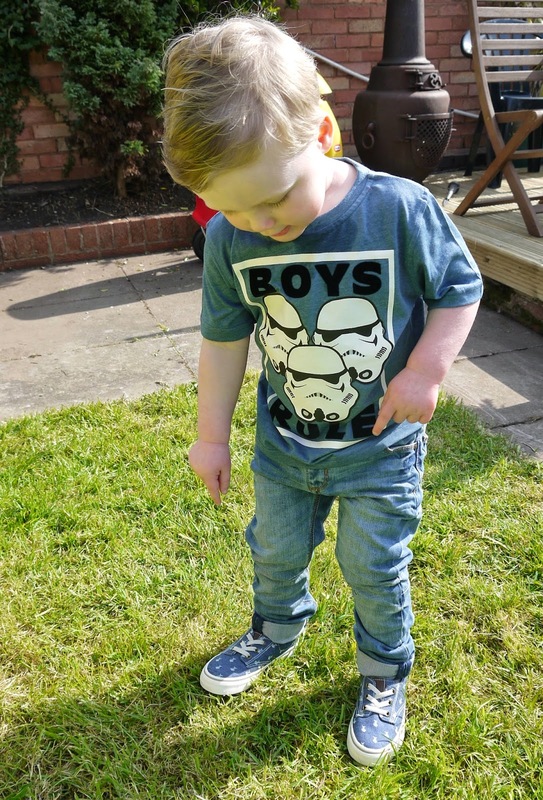 Oscar was very kindly given lots of new clothes from Asda recently so I thought it was a perfect opportunity to show them off in the sun. 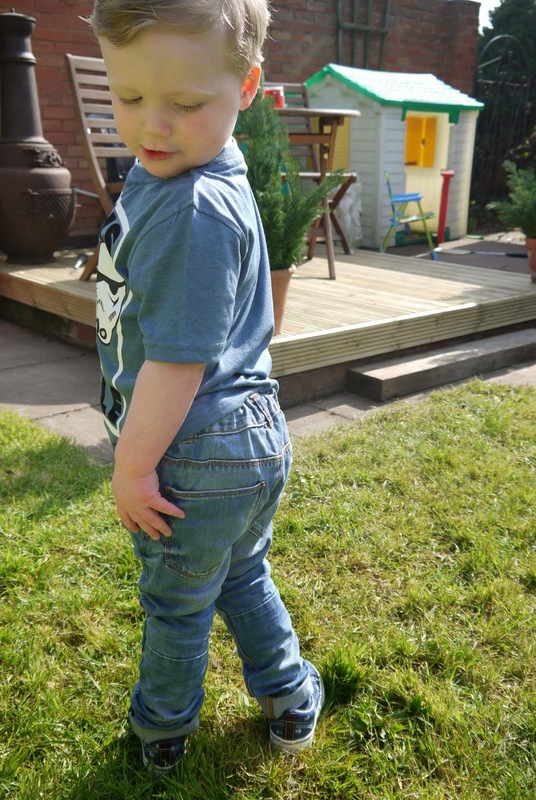 I am in love with these jeans, they look super comfy on him, stylish and although there 'tapered' jeans they look like skinny jeans, really stylish yet practical, plenty of room to make mischief in. 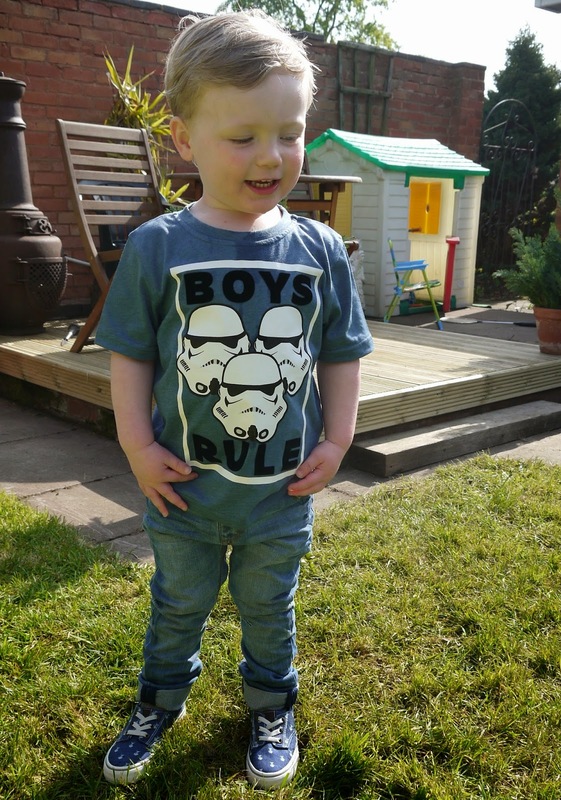 I'm not one for Star Wars but I loved the 'Boys Rule' T-shirt, I think he suits the colour really well too and this is casual yet still quite smart and will go with a lot of different bottoms, then lastly the shoes. These pumps are really sturdy for the affordable price tag, they look like they will last him a long while. 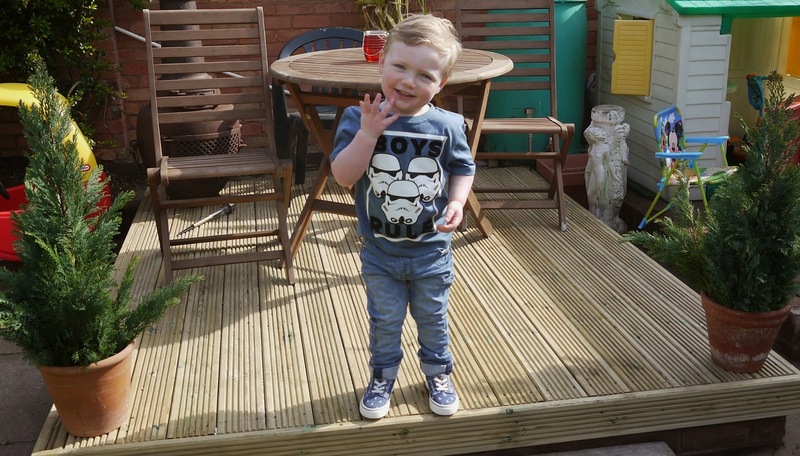 He loved this outfit and was making lots of poses for me, if only you could see half of them aha. I think Asda have such a great range of clothes for kids, they are super affordable and there clothes wash well, the only thing that has put me of cheaper clothing in the past is it not washing well but the quality of these clothes are fantastic and will last a while, I would definitely recommend shopping here especially when kids grow so fast you can afford to buy a lot of tops from £2 - £8 each! Where do you tend to shop for your little ones?